“Thank you for your speedy reply and the most generous sample. It is the greatest product. I shall be anxious to do business with you. “Dear Sirs: We have been unable to get your highly sought after Bob’s No Problem Bloody Mary Maker and are wondering, are you still in business? Please contact me at once with the proscribed method for restocking this cherished item. “Bob – Please send me a card noting price of your Bloody Mary Maker Sludge. We really enjoy it out here on the prairie. “Dear Bob– Where can I get more? Makes the best Bloody’s I’ve ever had. Will order direct if necessary. I would like to buy another jar (or three ) … I thought it was a very fine product… Thank you for your help. best way to have a Bloody Mary. Wow! I can’t believe how simple and delicious this bloody mary is. on my scrambled eggs. My husband loves it on his steak and burgers. Thanks Bob. Where have you been all my life? of my guests some saying “what is the secret ingredient?” What is a hostess to do? I said it it IS a secret ! And I am happy you enjoyed your drink. Only secret here is that “Bob” in a jar has a fantastic classy drink mix going on here! The funny part is that once you taste it you crave it !! God job Bob! We are hooked! Gabrielle Saint James, Palm Beach,fl/ Boulder Co.
1) Tabasco, 2) Peanut Butter and 3) Bob’s No Problem…. so glad to see it’s back….you’ll be getting many more orders from us! We own a couple of restaurants as well and will be working it in there. Approximately 20-25 years ago, while living in suburban Detroit, MI, I discovered your product and was a fan to say the least. I even saved a label from the jar to try and track down some more when your product was hard to find. 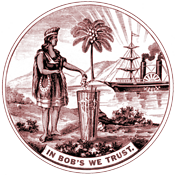 We have since moved to Hoover, AL ( a suburb of Birmingham) and yesterday happened upon that same saved Bob’s label. I then did an Internet search and found your web site. I was excited to discover that Bob’s No Problem was available through your site. All this to say that I still would like to purchase some Bob’s No Problem. I wouldn’t have gone to all this effort if I didn’t think you have a great product.